Our benign version of Skynet is about to be one step closer to completion. 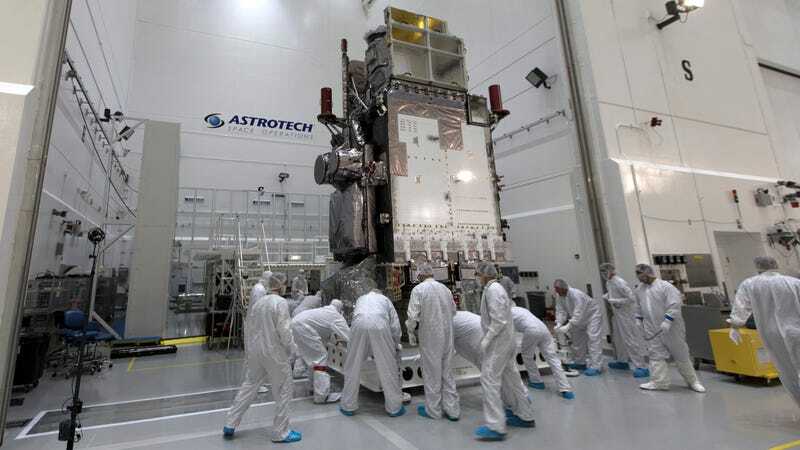 A new weather satellite is set to launch next Thursday courtesy of NASA and a Atlas V rocket. It will provide some of the most detailed imagery of the western U.S. as well as Alaska, Hawaii, and the Pacific region ever captured from space. 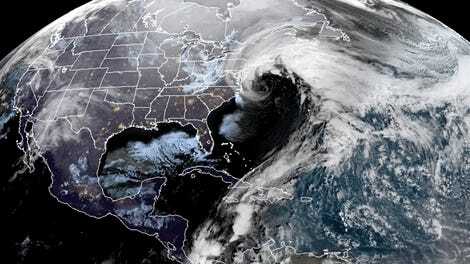 The satellite, dubbed GOES-S, will be the National Oceanic and Atmospheric Administration’s (NOAA) latest next generation weather satellite to keep an eye on the atmosphere. For meteorologists, it’s a huge asset to improve forecasting and a real opportunity to save lives. For the average person, it’s a chance to marvel at the beauty of our planet from 22,000 miles above the surface. Let’s talk about what the nerds get first. James Yoe, the chief administrator of the Joint Center for Satellite Data Assimilation, told Earther the satellite is a “three-four-five” kind of benefit because its instruments capture three times as many spectral channels at four times the resolution five times as fast as GOES West, the satellite it’s slated to replace. Its cousin satellite, GOES-16, is already in space keeping an eye on the Americas and the Atlantic Ocean, and has the same capabilities as GOES-S so scientists know what they’re getting. So what’s in the box? The satellite’s sensors capture 16 bands of imagery (as opposed to GOES West’s five). That allows scientists to get a better view of atmospheric phenomena like snow, fog, clouds, and volcanic ash, as well as vegetation on the ground. 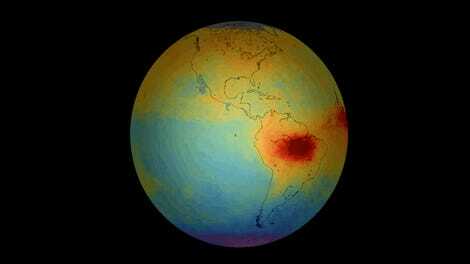 It also has sensors that can map lightning and return data on solar flares and space particles. It’s able to return views to every five minutes, but it also has the ability to rapidly scan up to two smaller areas at the same time every 30 seconds. Forecasters have already been able to do that with GOES-16, which was put in orbit early last year and has the same equipment as GOES-S. It had a prime time view for the destructive Atlantic hurricane season that wreaked havoc from Texas to Puerto Rico. That included Hurricane Harvey’s eye. Using the near-real time imagery, Yoe said NOAA was able to tell emergency managers in Corpus Christi—which bore the brunt of Harvey’s winds before the storm transitioned to an historic rainmaker—almost exactly when the worst of the storm was about to roar ashore to provide pinpoint warnings. GOES-S will be able to provide hurricane insights over Hawaii and powerful Gulf of Alaska storms, both areas not covered by GOES-16. It will also provide better coverage of the West Coast where its lightning mapper will come in really handy. The mountains that slice up the West from California to Colorado can obscure radar station’s view of storms. With a high-level view from GOES-S, scientists will be able to detect lightning and in turn can warn forest managers where to look for lightning-sparked wildfires. That could cut down on response time and improve forest management. It would also be a boon to river forecast managers looking to provide earlier, more accurate warnings on flash floods. Yeah, but about that eye candy. There’s a lot of it when it comes to the GOES series of satellites. Smith is perhaps one of the biggest purveyors of it. He’s even inspired a weird Twitter account that ranks what he finds a la @dog_rates. There are still two more GOES satellites on the docket after GOES-S as part of an $11-billion satellite upgrade. The recent Trump budget includes a $335 million planned cut in funding for the program.